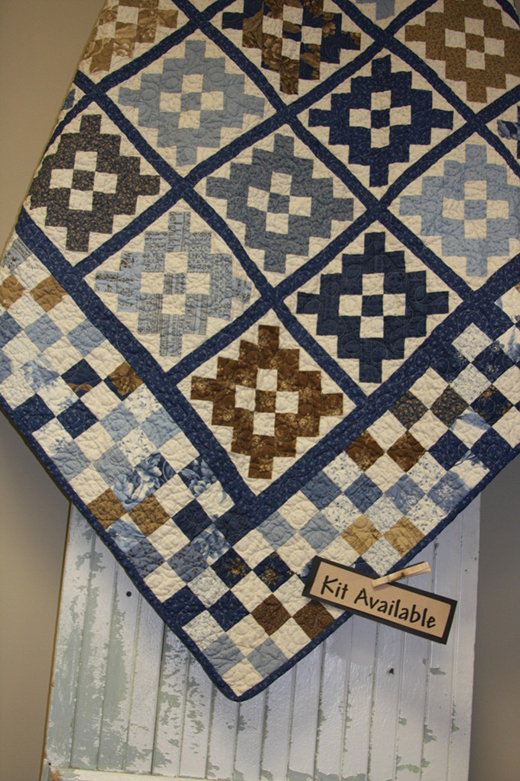 The Blueberry Crumb Cake Quilt by American-Quilting, The Pattern designed by Blackbird Designs for Moda, it's available for free. Two color quilts are a recipe for fun! The color choice is made easy with the Blueberry Crumb Cake collection by Blackbird Designs. The peaceful blues and tans will add a sense of comfort, rest and harmony to any room. Pick your favorite prints and let’s get piecing!